Discussion in 'Suggestions' started by Chilli_Bandit, Mar 18, 2019. Just suggesting that PVP is removed or fixed, on the red server specifically. First of all, if anything comes of this post, please fix warp tokens. The idea of a player using an item to escape a PVP encounter is beyond me. You can argue the idea that a wild warp token is for a new player, a sort of protection against TP killers so that they can escape any dangerous situation they aren't quite ready for, but something needs to be implemented to prevent the reselling and redistribution of the item, namely binding the warp token to the new players inventory. This would mean a new player could escape one singular encounter, a second chance as you will, but the warp token itself could not be sold off to TP killers, so that they can essentially have a zero risk PVP experience. This is my biggest bone to pick. PVP is meant to be about risk and reward, you risk your items in the hope of taking someone elses, but with wild warp tokens floating around the server, all it takes is a simple right click to escape from anything. 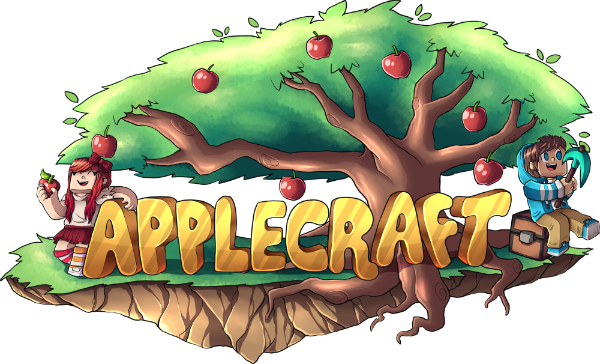 Obviously PVP isn't a strong point of Applecraft, there's more of a vanilla-survival focus, but I don't believe PVP should be enabled if it's in such an unbalanced and unfair state. On top of this, wild warp tokens do remove from the vanilla-survival experience. I don't pvp but I love having the option to pay a couple dia to give myself an emergency escape from danger, wether it be getting tricked into a tp kill trap or by accidentally falling into lava. Since the server has really expensive non-vanilla items it makes sense to have a way to protect from losing them during a flook accident. Also I'm a Wild Warp dealer. Do /shop __wille__ to buy wild warps and protect yourself! Also i buy them. When im on /msg me and we can discuss price. With the history behind red pvp, I will say that there have been items in the past found to assist with getting out of pvp. Unlike like the Satan's Chalice from our 2018 Halloween Crate, these tokens are much easier to obtain and therefore easier to abuse. It has already been brought to to discussion by a few staff members, including myself, but there is no plan to get rid of these tokens any time soon. Now to address any unfairness you may feel I will also clarify that all players have chances to find and buy these items yourself in shops. Be more active in the economy, get rich, and acquire these items yourself. If not to use them, then just to remove them from the market. Once upon a time, red server used to be a more pvp-survival experience apart from blue with all its safeties in place and large amount of rares. In the recent months since about December 2018, we've sort if caught up to blue with the amount of rares going around largely attributed to many players using many alts to vote more and get more keys. With the addition of town warps and shop world we are closer still. The difference, though, are our griefing, stealing, and raiding rules as well as our keep inventory remaining off.